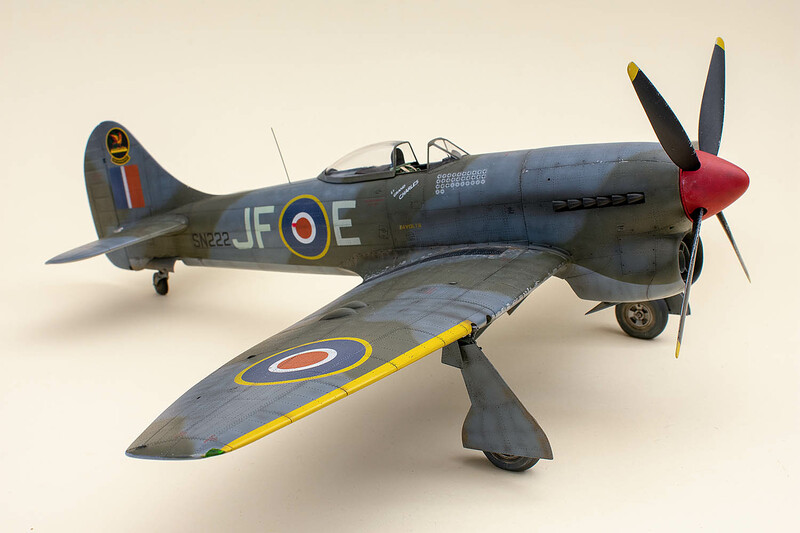 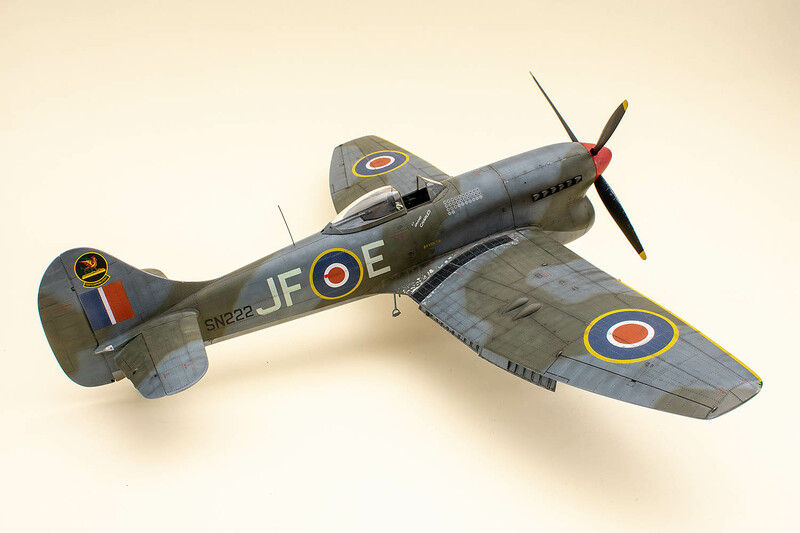 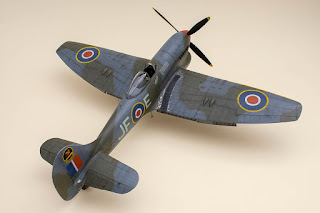 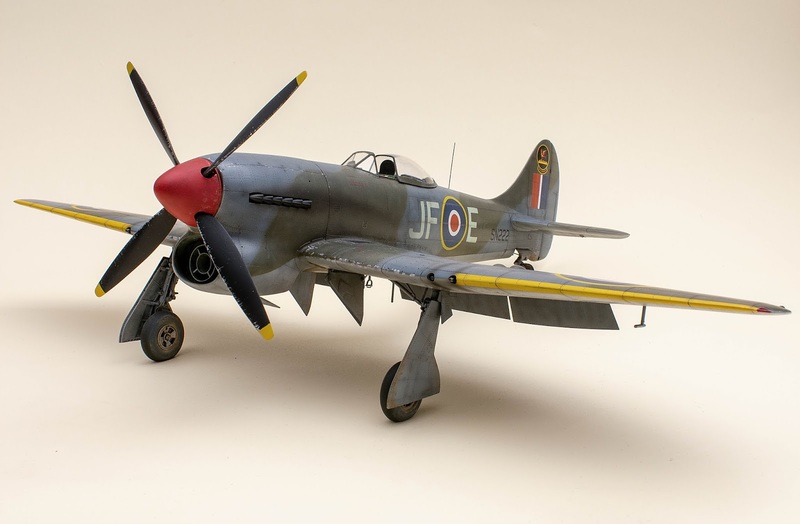 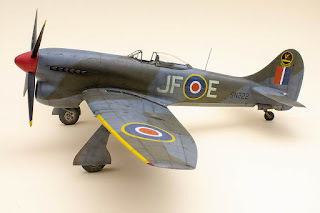 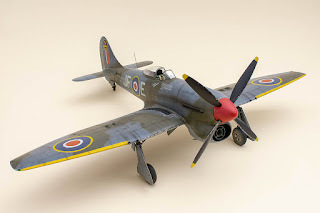 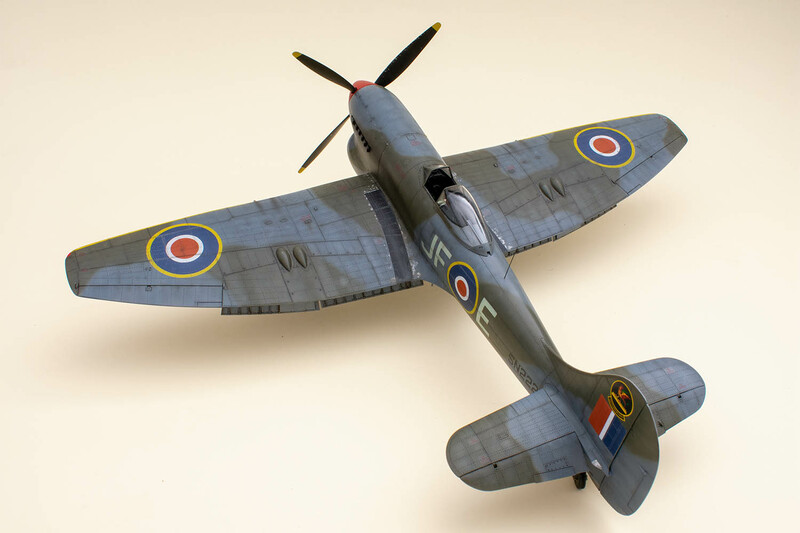 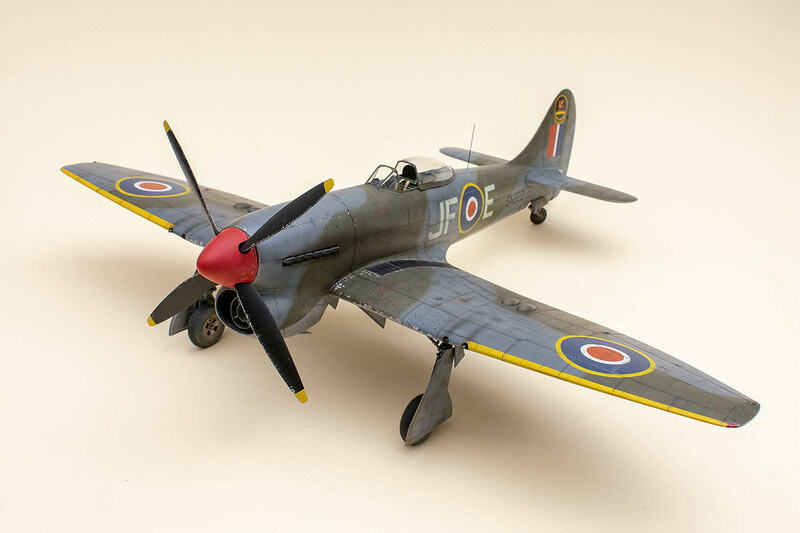 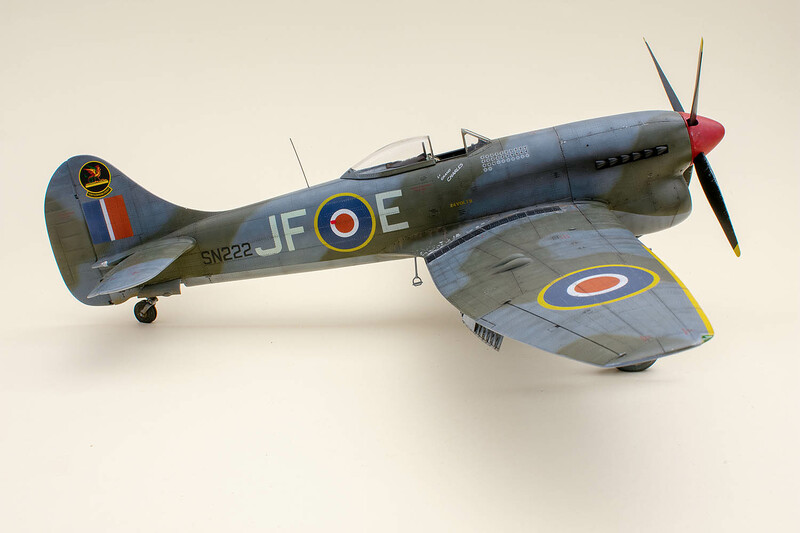 Yesterday, we posted here very nice images of Mila's fourteenth 1/32 Hawker Tempest model and it crossed our mind we have not published the no.13 Tempest yet. 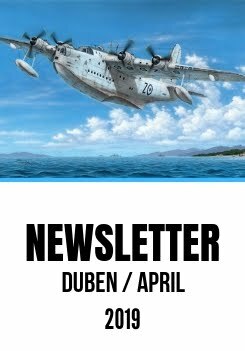 Let us do it so just now. This Tempest is arguably the most iconic of all Tempest that have ever flown, bearing the SN222/JF-E marking. And if that doesn't ring a bell to some of younger modellers amongst us , well let us point out that this very machine was flown by no-one less famous and important than French ace Pierre Closterman and was dubbed Le Grand Charles. 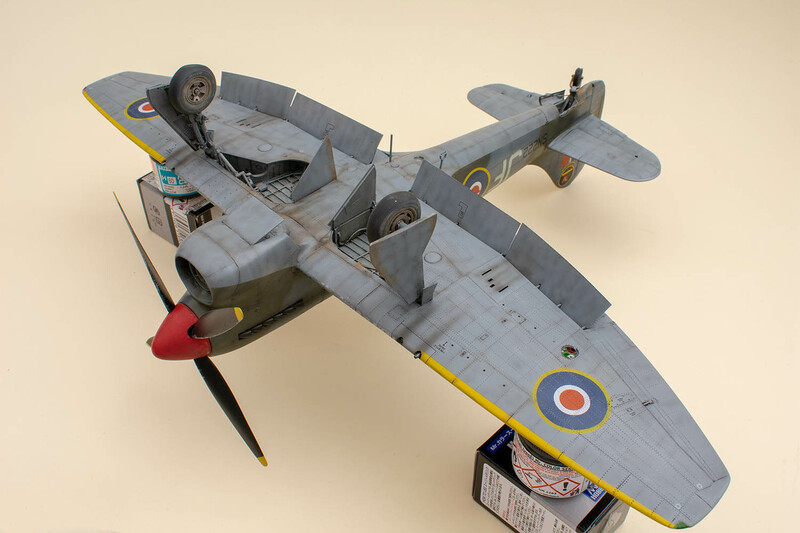 Mila has built the model to order, using our kit no.SH32070 but omitted the resin partial replica of the Sabre powerplant that also comes with this model.